Turkish voters are going to the polls in parliamentary elections for the second time in five months. President Recep Tayyip Erdogan’s AK Party failed to retain its majority in June’s poll. Attempts to form a coalition government since then have proved unsuccessful. Security is the key issue in the election after weeks of violence involving Kurdish militants and bomb attacks blamed on the Islamic State (ISIS) group. Recep Tayyip Erdogan has promised a return to stability if his party wins a majority. “This election will be for continuity of stability and trust,” he said after praying at a new mosque in Istanbul on Saturday. He vowed to respect the result. However, his opponents warn that an outright victory would fuel what they see as his increasingly authoritarian tendencies. 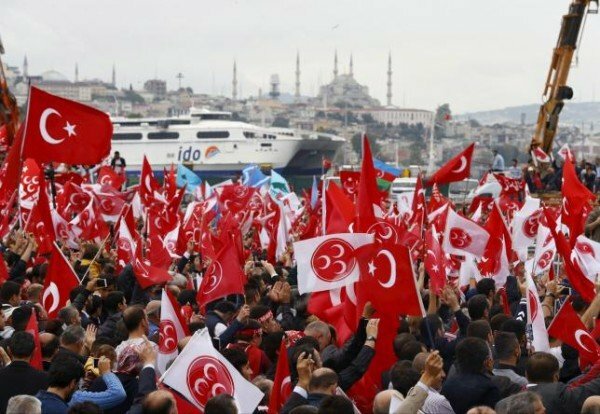 If the AK Party again fails to secure a single-party majority in the 550-seat parliament, it may be forced back to the negotiating table with either the country’s main secularist CHP opposition or the nationalist MHP. At June’s election, Recep Tayyip Erdogan sought a two-thirds majority to turn Turkey into a presidential republic, but his Islamist-rooted AK Party fell short. The pro-Kurdish People’s Democratic Party (HDP) upset his ambitions by crossing the 10% threshold, securing seats in parliament for the first time. In July, a ceasefire between the Turkish army and militants from the Kurdistan Workers Party (PKK) collapsed after a suicide bombing by suspected Islamic State (ISIS) militants near the border with Syria, which killed more than 30 Kurds. Turkey then suffered its worst terror attack when more than 100 people were killed after a peace rally attended by mainly left-wing demonstrators was attacked by two suicide bombers. The government said they were linked to ISIS. Critics have accused Recep Tayyip Erdogan of renewing violence to curb support for the HDP – something the government denies. The HDP’s leader Selahattin Demirtas said on October 31 that some of his party’s officials had been taken into custody, and questioned whether the election would be fair. “We took the dictator down despite everything, and tomorrow we will show him how strong the power of the people is despite his impositions,” he said. However, analysts say today’s vote is unlikely to resolve the deep divisions in Turkish society.